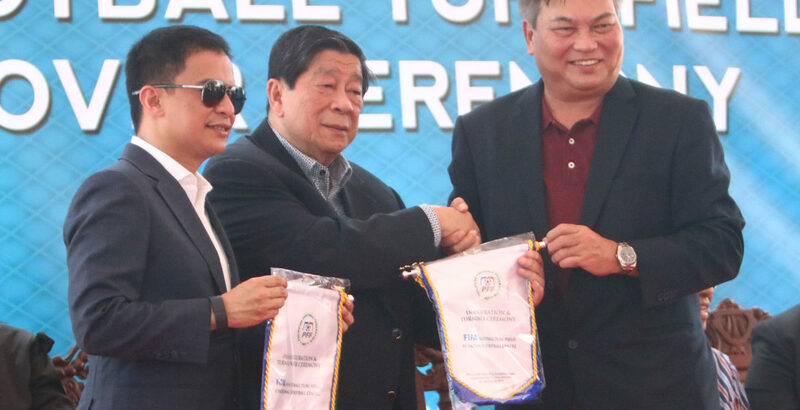 CARMONA, CAVITE – In its continuous efforts in spearheading the development of football in the Philippines, the Philippine Football Federation (PFF) formally held the turnover ceremonies of the FIFA Football Turf Field at the National Training Centre in San Lazaro Leisure Park. 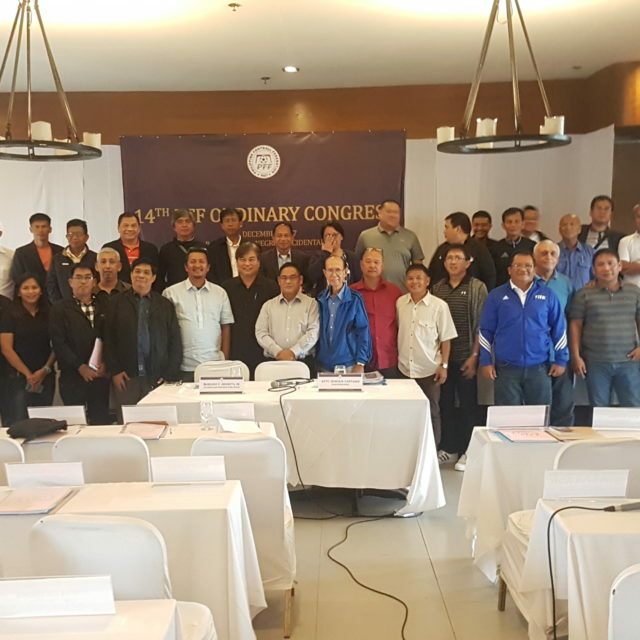 FIFA Council Member and PFF President Mariano V. Araneta Jr. along with Manila Jockey Club Inc. (MJCI) Chairman Atty. 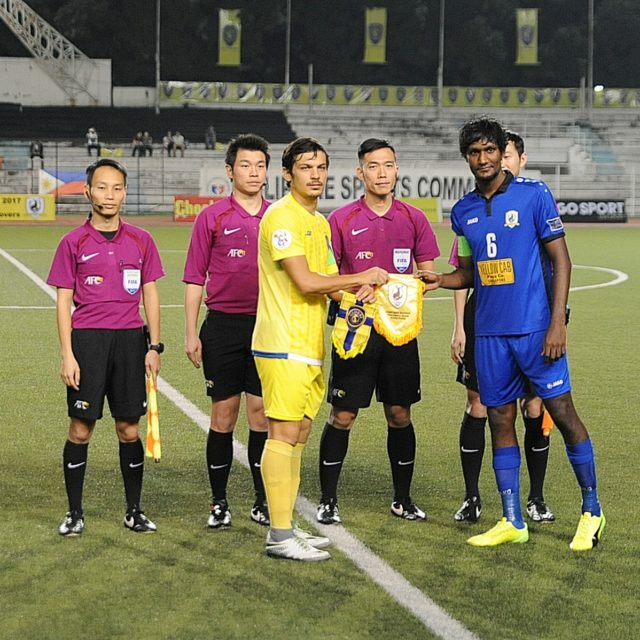 Alfonso Reyno Jr., led the turnover ceremonies of the FIFA Football Turf Field, which is part of the FIFA Turf Project for the National Training Centre. The National Training Centre is part of the two-hectare lot provided by the MJCI to the PFF which also includes the yet to be built PFF House of Football. The FIFA Football Turf Field Project began in November 2014 with the groundbreaking at the same venue. Former FIFA President Joseph S. Blatter and AFC President Shaikh Salman Ibrahim Al-Khalifa graced the event then. The field, which was awarded a FIFA two-star field rating, hosted a grassroots festival and two exhibition matches over the course of the day. The Women’s Exhibition match was contested between the University of the Philippines Women’s Football Team and the UAAP champions De La Salle University Women’s Football Team. 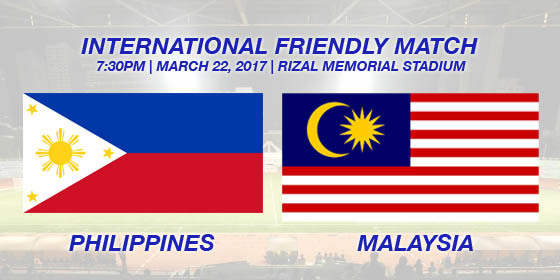 While the Men’s Exhibition Match pitted the champions of NCAA, San Beda College, and the champions of the UAAP, Ateneo de Manila University.